Please join us this summer for a little history -- and a little rock’n’roll. The rock ’n’ roll: Joe Delia, a keyboardist/composer who has played with Springsteen, Dusty Springfield, David Johansen and many others, will lead a band performing a tribute to 914 Studios. He’ll be joined by Rockland-born guitarist, songwriter and impresario Joe D’Urso and other special guests. 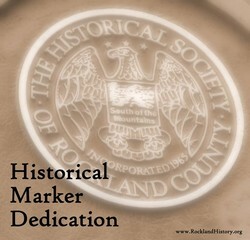 Thanks to the marker and celebration producers and sponsors, who include Brooks Arthur, founder of 914 Sound Recording Studios; Michael Magnone, Robert Brum, Journal News/Lohud.com; and the Historical Society of Rockland County. Please RSVP to Michael Magnone at mboilman@aol.com.